I saw a post at Instagram but now the pic gone.. anyone also saw that? Saw one on Fratello watches. There is some difference between hands and dial in terms of lume color. Last edited by Inq; March 24th, 2017 at 11:21. I'm a bit torn. 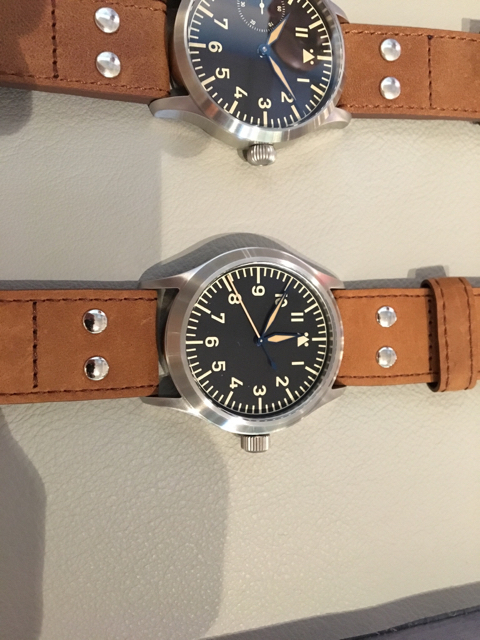 I like the idea of the lumed shots (full dial) and seconds hand hacking but I'm underwhelmed about the marked difference in colour of the lume of the hands and dial. I'm still undecided on brush or polished since I have the polished MOBLE. Suggestion? I'm leaning towards polished, but the original concept art showed the brushed case and it looked great. Both prototypes look great. If I had the MOBLE, I'm pretty sure I'd lean towards the brushed MABLE, which should make a nice, complimentary pair. I just ask myself. Why can't the hands be blue? 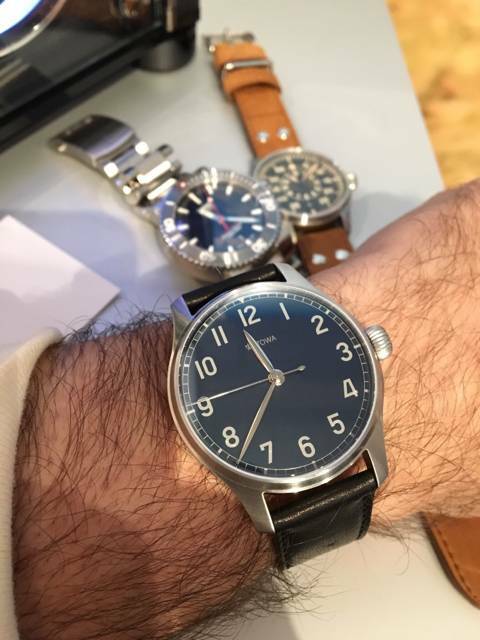 What is stowa famous For? Blue hands? Last edited by hidden830726; March 24th, 2017 at 12:48. Zinzan and Gregormo31 like this. I'm not torn anymore. Going to cancel my order today. Wait, the hands look brushed. 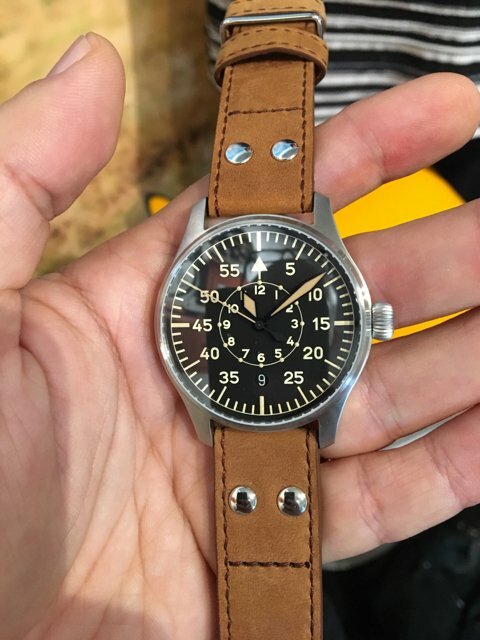 I have opted out from the limited flieger and changed my order to a normal serial flieger. I am keeping my order of limited Blue Marine though.